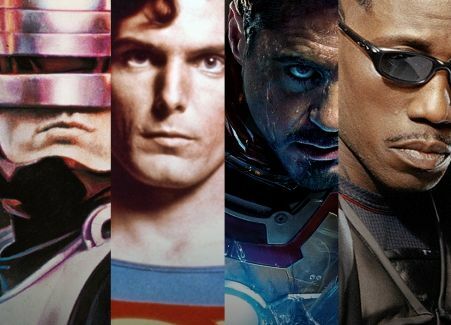 Encore has announced that they're stocking the entire month of May full of superheroes and their films. You can read the press release and see the list of films they'll be airing every night in May below! Encore presents “The Heroes Collection” featuring 23 uncut films dedicated to the most popular superheroes of all time, every night at 8pm et/pt, starting Thursday, May 1st at 8pm et/pt only on Encore. Encore kicks off the month-long celebration with the 1989 Oscar®-winning classic, Batman, starring Michael Keaton and Jack Nicholson. Throughout the month of May, “The Heroes Collection” will continue to feature some of the most beloved superheroes such as action fantasy Iron Man 3, one of the biggest blockbusters of 2013, featuring an impressive ensemble cast of Robert Downey Jr., Gwyneth Paltrow, and Ben Kingsley; the classic 1978 Oscar®-nominated Superman, starring Christopher Reeve and Marlon Brando; the action comedy Men In Black 3, with award-winning actors Will Smith and Tommy Lee Jones reprising their popular roles; the box office hit The Amazing Spider-Man, with rising stars Andrew Garfield and Emma Stone leading the extraordinary cast including Denis Leary; and the Academy Award®-winning animated comedy The Incredibles, written and directed by entertainment powerhouse Brad Bird.